Welcome to the home of Purposefully Empowering And Reaching Little Sisters, Inc. (P.E.A.R.L.S.). We are a female mentoring program established to encourage young ladies by giving them a positive outlook on life through adult female mentoring, lectures, workshops, physical activity and practical application. One of the most important aspects of a young person’s life is how they view themselves and what they convey to others around them. P.E.A.R.L.S. seeks to build positive self-esteem and feelings of self-worth in every female that enters in the program. Provide a platform for mentors to show mentees their impact on the workforce. Expose mentees to various jobs and career fields. Assist mentees in defining and building traits and qualities that will produce positive choices and outlooks on life. Help the mentees set principles and rules that will guide and enable personal growth. Offer opportunities to discuss the importance of leading healthy lifestyles. Provide etiquette tips and scenarios as well as opportunities for practical application. Joshua Leonard. 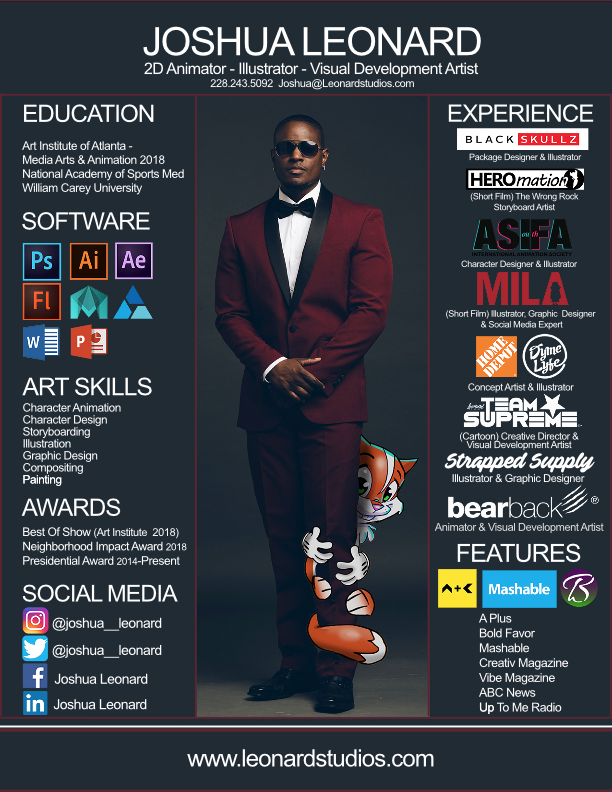 Owner of Leonard Studios & Creator of Team Supreme Cartoon. Atlanta, Georgia. Advocating for inclusion inspired Joshua to create the characters of Team Supreme. He has friends and family with children who have disabilities and wanted to display that in his characters across race, ethnicity, and gender. Joshua shared that there are less than 3% of Black animators and how it’s important to have representation across the board. The animation series gives children the chance to see themselves in these characters that have been created to foster inclusion. The series empowers children to see their disability as super powers instead of setbacks. Joshua mentioned the NFL linebacker with only one hand and how he still is able to play football despite it all. He shared a little about his upbringing and how it was rough growing up being the youngest of his siblings. His middle brother taught him how to draw Garfield when he was a young boy and never stopped drawing. He continued to work on his craft after playing football for years and wanting to do work around music and animation. Joshua has some upcoming projects that we know will be amazing. He hopes to work with Ava DuVernay’s production company, ARRAY in the future. Check out his website and social media to learn more about his work!